More Americans know someone who’s transgender. That’s important. 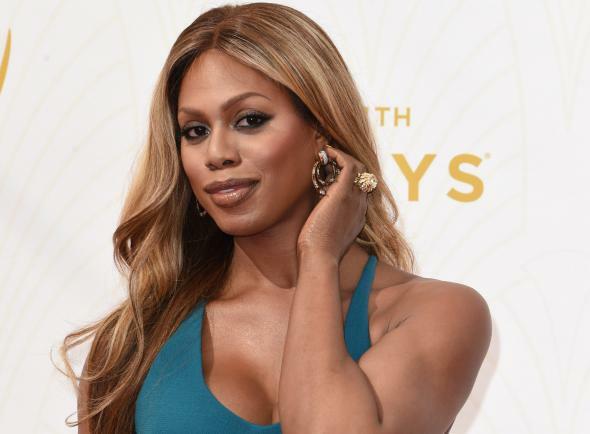 Celebrities like Laverne Cox are important, but personal connections matter even more. Empathy is a powerful weapon in the fight for LGBTQ civil rights. People who have LGBTQ relatives, friends, and co-workers are more likely to believe those groups worthy of equal rights. That’s why the results of a new survey, which found a significant increase in the number of people with a transgender acquaintance, family member, or co-worker, are so welcome. The survey, commissioned by the Human Rights Campaign Foundation, found that 35 percent of likely voters personally know or work with a transgender person—twice as many as two years ago, and up from 21 percent last year. In a 2015 HRC survey, 66 percent of people who said they know a transgender individual expressed favorable feelings toward them—compared with 13 percent of people who don’t have trans friends, co-workers, or family members. And while it’s hard to be cheerful when so many respondents are still willing to report unfavorable feelings about transgender people, the message is clear: People with a personal connection to trans individuals are less likely to fall for the false rhetoric of “bathroom bills” and the scapegoating of the community that has been depressingly common of late. The survey results were released on International Transgender Day of Visibility, which is celebrated each March 31 and is designed to “bring attention to the accomplishments of trans people around the globe while fighting cissexism and transphobia by spreading knowledge of the trans community.” In a year when as many as 17 states are considering bills that target transgender people, including depriving them of access to bathrooms consistent with their gender identity, trans visibility matters more than ever.